Houzz, the popular platform for all things home remodeling and decorating, is expanding to India. This marks Houzz’s entry into its fourteenth market, but none of its current markets can obviously rival the sheer size and growth potential of the Indian market. In addition to the expansion into India, Houzz is also launching its Pro+ local marketing program and subscription service for home professionals to an additional 150 metro areas across six countries outside of its U.S. home market. Localizing the service to the Indian market mostly meant changing some of the verbiage on the site (“general contractors” become “civil engineers and contractors,” for example) and adding local photos, categories for local architectural styles, and content written by local professionals. 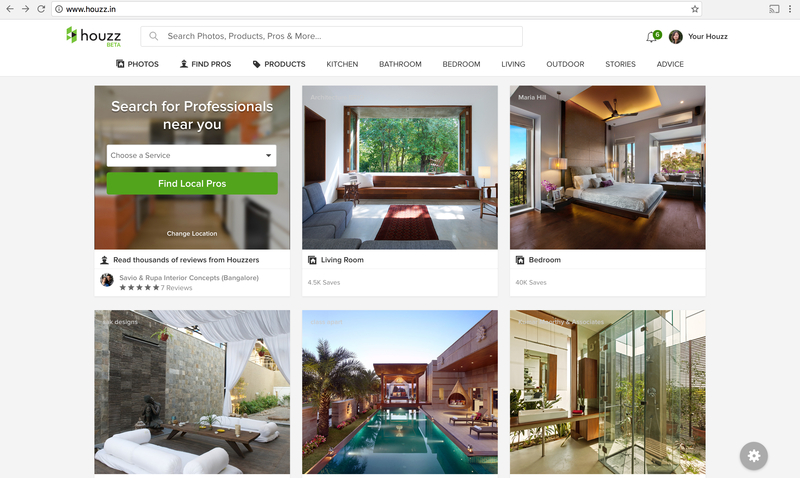 For now, Houzz is entering the Indian market with its core services but isn’t bringing its e-commerce platform and Pro+ service to the country just yet. Tatarko told me that the plan is to launch these services in the near future, though. Over 45 percent of Houzz’s users currently come from outside the United States (up from 30 percent before the service’s first international expansion in 2014). Tatarko tells me that the company wants to be deliberate about how it expands in order to be able to scale its presence as needed. Tatarko tells me that the U.S. market is still very important for the company, too. There, the Houzz Marketplace has expanded the company’s reach beyond people who were renovating their homes because it now also allows the company to monetize users who are doing smaller projects or are simply looking for design and decoration ideas.